Pardo's majestic delivery graced newscasts, game shows and TV programs for decades. 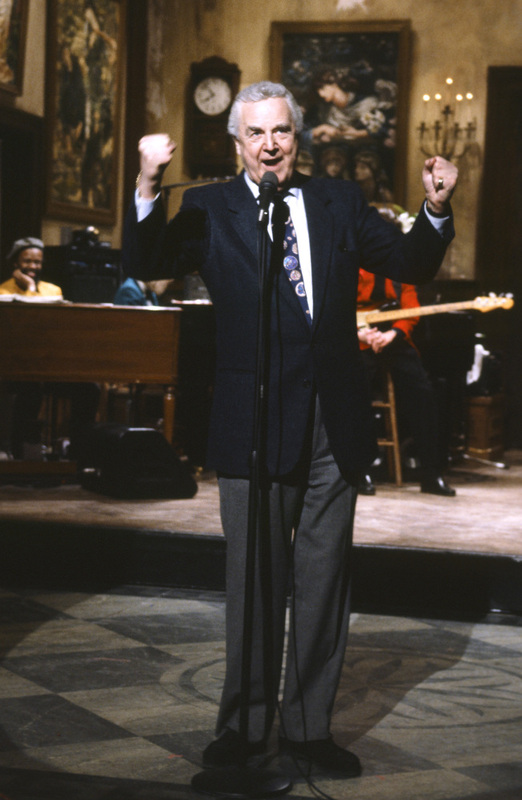 Pardo’s strong jaw and leading-man smile were seldom on display, but for more than 60 years his elegant pipes graced newscasts, game shows and especially “SNL,” where he played an integral role through last season, heralding the lineup, like always, as recently as the May finale. “My whole life changed once Don Pardo said my name,” echoed Amy Poehler, a fellow “SNL” alum. “My voice is my Achilles’ heel,” Pardo said in 1985. “When I get sick, it’s always my voice.” But it long served him well. One of his first jobs was that of ticket-taker at a theater; even then, his voice was commanding. His father, Dominick, owned a bakery and had wanted his son to join the business. But young Pardo followed his own dream. After graduating from Boston’s Emerson College in 1942, he began his vocal career at radio station WJAR in Rhode Island. Two years later, he was hired by a supervisor at NBC immediately upon hearing his voice. In 1954, he was brought in to announce “Winner Takes All,” beginning a long run in game shows. Aside from Season 7, when he was rudely displaced, Pardo remained an “SNL” mainstay. For several years, Pardo commuted from Tucson each week the show aired. At the end of the show on Feb. 23, 2008, he was brought on camera in honor of his 90th birthday. In later years, he more often recorded his introductions from home, where he died peacefully, said his daughter Dona Pardo. In 2010, he was inducted into the Academy of Television Arts and Sciences’ Hall of Fame.